While massage therapy provides many holistic health benefits ranging from relieving pain caused by injury or the strain and overuse of joints and muscles (or simply the nagging effects of growing older, which few of us choose to acknowledge) to improving circulation and detoxification, to alleviating stress and tension and providing body and soul relaxation, there are times when massage may not be the right choice and might, in fact, cause adverse effects. Any pain or condition that you are unsure of is a massage contraindication. In short, this is when you are not able to receive massage, or the massage therapy may be limited to specific areas of your body. There are two types of contraindications: local contraindications and absolute contraindications. 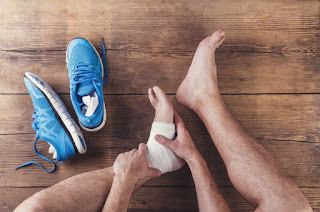 Local contraindications mean that caution must be exercised during treatment and the massage must be correctly adapted to the condition, with modification, moderation, special restrictions and even approval from a doctor. This is to ensure the protection of both the client and the massage practitioner, as it is not only your own health that is a consideration, but also that of your therapist who might be exposed to your illness if symptoms are contagious, which could also be passed on to other clients. Absolute (or total) contraindications, on the other hand, are conditions where you cannot receive a massage as it, too, can result in potentially serious health risks for the client and/or the therapist. The good news is that not all absolute contraindications are permanent; you may have a condition that, once it clears, allows you to benefit from massage. However, some conditions are permanent and in those instances massage is not a recommended treatment. Suffering from an acute injury may be another time when massage is not advised. While one might seek the immediate relief a massage can provide, if there is existing damage to the area, massage may actually interfere with the healing process. Again, in such instances it is best to first consult with a physician. As well, if you are dealing with an infection, massage increases overall circulation and can stimulate your body's natural defenses, placing demands on your physical self when your best remedy is simply to rest. Another time when one should refrain from massage is if you have ingested alcohol prior to your treatment. Liquor desensitizes the body and makes it difficult for the therapist to accurately determine the correct amount of pressure to apply to address your concern. Even prescription medications may alter the effectiveness of massage. There are a number of other conditions and situations where massage is not recommended or when it should best be administered only under the advice of your physician. If you have questions whether massage is the right technique for your specific need, we invite you to speak with one of our qualified massage therapists to determine your most effective treatment protocol and whether a medical opinion might first be necessary. At Academy Massage the health and well-being of our clients remains our number one priority. Thai Massage (or Thai Yoga Massage) is believed to have been developed over 2,500 years ago in India by the physician to Buddha. The therapy was later adopted by Thailand where it was influenced by traditional Chinese medicine, incorporating over time the holistic principles of other cultures. 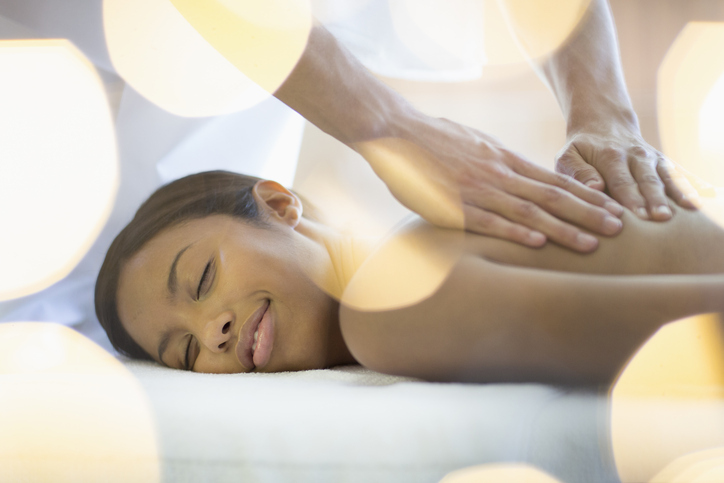 Thai Massage has benefits beyond those experienced in traditional massage treatment. It is a more energizing and rigorous massage, with a consistent body contact between the therapist and client, although instead of massaging and kneading muscles, the technique involves a series of manipulations such as muscle compression, joint mobilization and acupressure. People have claimed that undergoing Thai Massage is like practicing Yoga - without exerting the effort. The result is both stimulating and relaxing. Other benefits include stress reduction, improved circulation, increased flexibility and range of motion, and the centering of mind and body. No oils are applied so the procedure can be done with the client fully dressed, though it is advised that the clothing be loose and comfortable. However, Thai Massage is not recommended for certain individuals. It should not be administered to anyone who has just undergone surgery. Also if you have undergone chemotherapy or radiation, you should first check with your doctor; as well a physician should be consulted if you are as if you are a pregnant woman considering Thai Massage. The procedure should also not be performed if you have an infectious skin disease, rash or any open wound. Be sure when you book your appointment with Academy Massage that your therapist is made aware of your medical history.